IGNITES's Level 1 Firing System is our most popular system. The system includes a 12 button wireless remote control and a single IGNITE 6Q Receiver. The 6Q Receiver is capable of firing up to 5 Electronic Igniters per cue and the 12 button wireless remote allows for expansion by adding a second 6Q Receiver for a total of 12 available cues! Excellent for small family fireworks shows, testing products, finale board, and much more. Thanks for visiting our ONLINE STORE! The Fireworks Frenzy and our sister company Firearmsprostore.com share the same shopping cart software. After you are satisfied with the contents of your shopping cart, please click the checkout button and your cart will be forwarded to our central checkout system for final checkout and payment processing. Rest assured that you are shopping in a secure environment, and please contact us with any questions/concerns you may have. Thanks again and Happy Shopping! IGNITES's Level 2 Firing System is the expanded version of our Level 1 System. 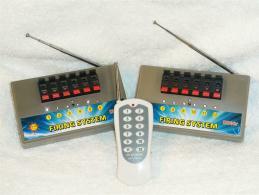 This system includes a 12 button wireless remote control and a two (2) IGNITE 6Q Receivers. The 6Q Receiver is capable of firing up to 5 Electronic Igniters per cue and the 12 button wireless remote allows for total control. Take you Fireworks Show to the next level with the IGNITE Level 2 Firing system. Excellent for small-medium size shows, family parties, birthday parties, and much more. 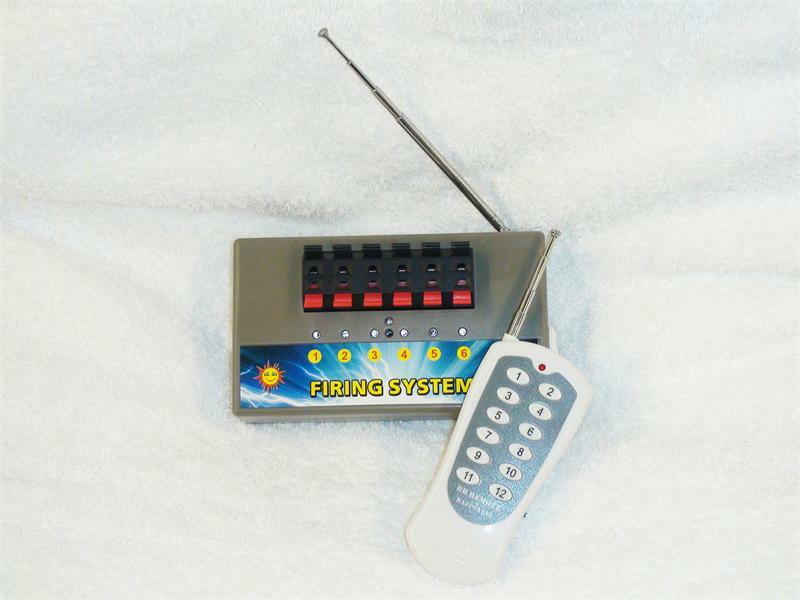 Programability - The IGNITE System allows for additional receivers to be programmed to the 12 button remote, this allows you to fire multiple cues from a single press of a button!